Posted on May 5, 2012 May 8, 2012 by John McHugh M.D. Never give a sucker an even break…. 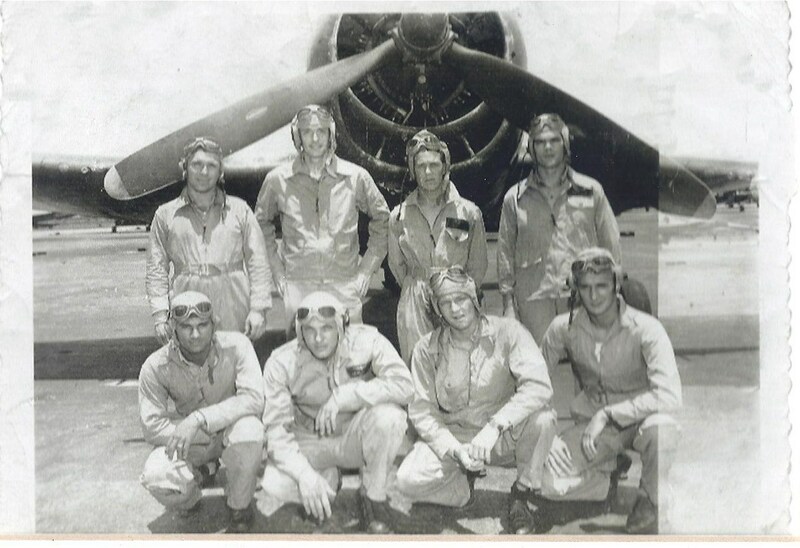 My father a Navy Pilot during War World II, to my knowledge did not serve in active combat, the one on the front row second from the left. He has almost a Cherokee Indian look with dark complexion and very angular cheeks. These two traits, along with prominent teeth from my mother’s side, explains the look of myself and my four brothers. I am from LaGrange, Georgia and I think my father is from Birmingham, Alabama and that later in life his father “Big Mac” owned The West Point Motel which at the time was on the river ( I remember there were boat sheds and boats with small outboard motors on jonboats that could be rented.) Across the river from West Point, Ga or so is Langdale, Alabama. That is where I was born so I assume that the hospital in Langdale was closer than the one in LaGrange and that my parents lived near my father’s parents at the time I was born. I wish I was born in LaGrange though, I love LaGrange and identify with my mother’s family much more so than my father’s family who I hardly knew after my 5th year or so. I think we moved to Columbus, Georgia about then and I have no memories of my father’s family. My father was an attractive and smart athletic man. He I feel was however a very flawed individual. He went to Auburn and graduated, I was told with honors, and then joined the Navy. After marrying my mother I believe was, a my grandmother would say often of others, a “near do well.” His stichk was selling things. He was a seller. Ultimately in Columbus he rose to the level of a Vice President of a large real estate company there. Our first house was on Norris Circle, a dirt road, and then when I was in fifth grade we moved to a ranch house on Flint drive in a new subdivision that his company was developing. Three bedroom, two baths, a one car garage that abutted a small room where the freezer and the washer and dryer were. No central air. Going in from the garage you entered a small kitchen with a huge window air conditioning unit that would freeze any one in the kitchen and particularly the person at the sink. From there the den with the T.V and then down a hall with a room off to the left (Rushton’s) and then a bath to the right, a bedroom on the right (Cooper’s), another room to the right (mine and Bob’s) and then across from that my parent’s room. As I sit here writing I cannot for the life of me remember where Jeff slept. He would have been young, maybe he slept in a crib in my parent’s room. Then across from the den, like so many other ranch houses of that time was a dining room and living room. The living room had a stand up stereo and it was on that I first heard “Meet the Beatles” while we played Risk. I have no clue about Jeff during this time. Nothing. All I remember, other than the horrible transgressions of my father perpetrated upon his family, are my other brothers, playing football in the front and back yard, Cooper’s chest of drawers with a lock on it and everything a person could ever want in it, not the least of which was a skate key, and being subservient labor for my brother Bob’s treehouse across the street on an empty lot. I lived in that house when JFK was shot. I was in third grade and in the bathroom of Clubview Elementary School. The announcement came over the intercom. My mother was very upset about it. I remember telling a friend that it would not surprise me if she drove to Washington D.C. to see the funeral. You are doing your children and their children a hallowed service by detailing details of your families of origins. Having read your account, and not allowing you to read my account, I would gladly trade childhoods. Think so, anyways. I hope you don’t leave out an extensive account of your relationships with peer groups as you grew up from primary grades into secondary grades and received your diploma. How was being fatherless an asset or a liability? Did your own age group of boys develop into its own tribe identity? Which teachers or friends’ fathers initiated you into manhood? It was the half way point between Columbus and LaGrange and where unfortunately my Aunt Betsy and grandmother would me my father to “collect” my mother for the sobering up process to be done in LaGrange and then to return her at the meet up spot when she was over her binge. Please delete this OT comment after reading? Thx. Next PostNext Mother’s day and prostate cancer.